Kansas City, Mo. – New Dimensional Weight (DIM) rules imposed by UPS and FedEx in January 2015 have increased shipping rates for many direct-to-consumer shippers. In response to these new shipping rules, Tension Packaging & Automation now offers the Intelligent Random Box Sizer System. The system can help order fulfillment distribution centers lower their rates and increase shipping efficiency. Tension is the exclusive supplier of the system in the United States. With new shipping rates based on a combination of size and weight, carton size now plays an important role in shipping costs. New rates are based on a billing calculation that takes into account the length x width x height of a package, divided by a specific DIM factor. For domestic packages, the DIM factor is currently set at 166. The Intelligent Random Box Sizer System measures the empty volume left in a loaded carton using a Vision System that evaluates the product size contained within the package. It then adjusts itself to cut, crease, fold and seal the flaps down securely around the goods. The result is a carton with reductions in volume and associated void fill, leading to exceptional cost savings. Built to manage a random stream of order sizes, groupings and cartons, the system works well for order fulfillment distribution centers shipping single, multiple, loose or grouped products. Uses standard cartons, eliminating the need for a materials contract. 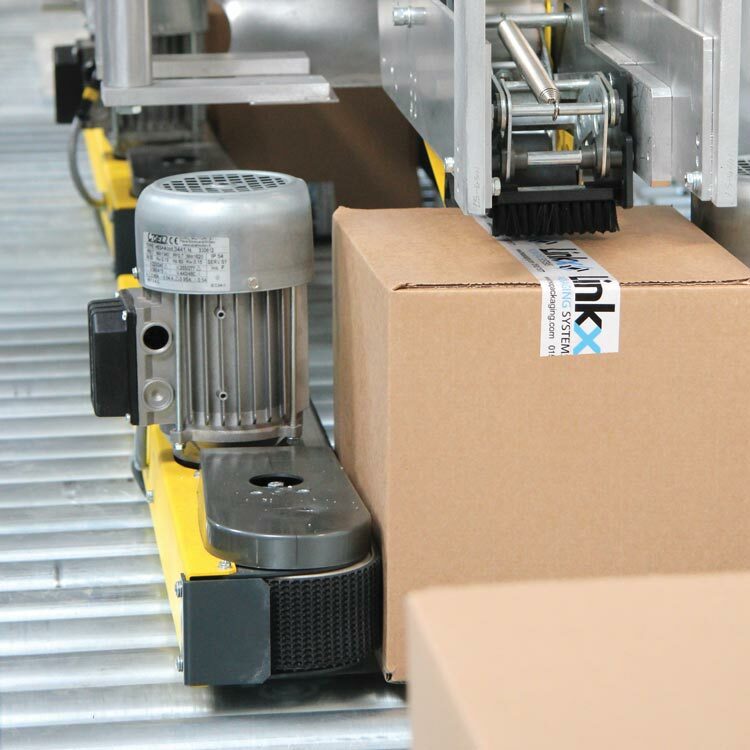 Automates carton sealing for labor savings and more secure cartons. Maximizes space on trucks, increasing the number of packages leaving a distribution center. The Intelligent Random Box Sizer System integrates seamlessly into a distribution center’s overall automation solution. An ideal system for boxes and cartons, the box sizer may be integrated with a Print and Apply labeler and sorting and manifesting machine to fully automate the packaging process. To learn more about Tension’s Intelligent Random Box Sizer System visit Tension in Booth 312 at the Operations Summit in Louisville, Kentucky, April 14-16, or visit tensionautomation.com. Tension Packaging & Automation, a division of Tension Corporation, designs, builds, and integrates automation solutions for order fulfillment centers and pharmacies. Using both proprietary equipment and field tested automation systems provided by key equipment partners, Tension Packaging & Automation provides automation solutions for both new and retrofitted operations. Regional sales offices are located across the country with manufacturing activities in Longmont, Colo. Visit www.tensionautomation.com to learn more.